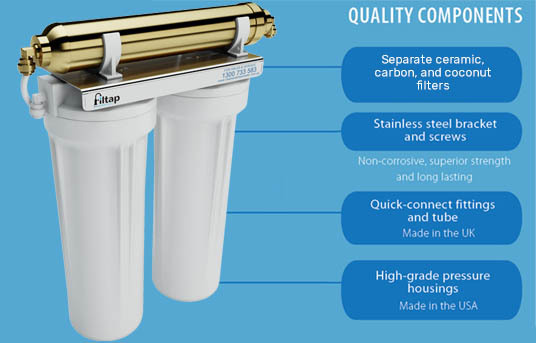 The Filtap™ Triple Under Sink Water Filtration System Gold Series is exclusively available from us. Its 3-stage process is highly effective in removing harmful microorganisms and chemicals. Your family is sure to have access to clean and safe water 24/7. With FREE installation and lifetime warranty, many homeowners have already taken advantage of this deal. Fresh purified water is certain. One of our customers’ favourite features is the affordable pricing. You save on installation costs (it’s free) and the whole system is actually affordable (we beat all our competitors when it comes to this). The first stage: (ceramic sterasyl filter) removes up to 99.99% of all trihalomethanes and other impurities. The second stage: (super block carbon cartridge) removes up to 99.99% of the harmful heavy metals. The third stage: (coconut shell carbon) ensures the pleasurable taste of the pure water. 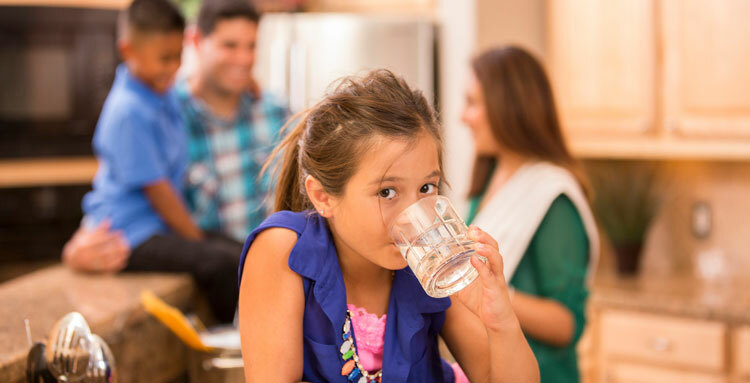 Our goal is to ensure families in NSW are safe at all times when it comes to their drinking water. That’s why we use the best research-backed technologies and only use premium-grade materials in all installations. The stainless steel bracket and screws are all non-corrosive, have superior strength, and are long-lasting. The high-grade housings are built to endure the pressure. You can be absolutely sure that your new filter will be highly durable. Complete the setup with this stylish tap. It adds elegance and sophistication to any sink area. In addition, it adds trust and confidence that the water you get from the tap is absolutely clean. You can choose from our designer faucets according to your personal preference and style of your home. You can choose a modern style or a more classical faucet. It’s your choice. Our 3-stage water filtration system has already made many families safe when it comes to their drinking water. With the lifetime warranty, an affordable product, and free installation, you get the best value while protecting your family from harmful microorganisms and substances. Call us now on 1300 734 156 or submit an online enquiry.